Rancho what? Rancho Vignola is a family run business in Armstrong that sells high quality dried fruits, nuts, and seeds . We partner with Rancho Vignola each September to raise money to purchase their products for our Holiday Hampers. We do this by selling their products to community members. Get all the nuts, fruit and seeds you will need for Christmas baking, gifts or just plain snacking. The product list typically includes items such as raw almonds and hazelnuts, roasted cashews and pistachios, pumpkin and sunflower seeds, dried apricots and cranberries, raisins, chocolate covered almonds and more. Some items are organic. Place your order NOW – they are due by September 25 and will be available for pick up in November. 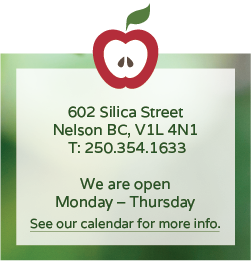 You can print the order form and drop off at the Food Cupboard during open hours, or through the Nelson United Church mailslot when we’re closed. Or just stop in to see us during our open hours. Please include payment with the order form. 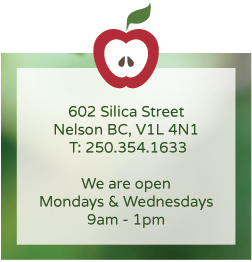 This initiative is a great way to support the Nelson Food Cupboard.